By Michael Jackson. Arranged by Ivan Marinovic. Funk Jazz, Pop, Rock, R&B, EDM. Score, Set of Parts. 15 pages. Published by Ivan Marinovic (H0.112453-79000). Billie Jean is the second single from the Michael Jackson's sixth solo album Thriller (1982). 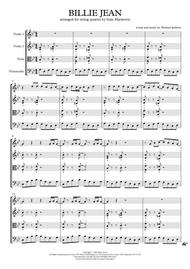 One of the greatest songs of all time in which Jackson premiered his "moonwalk" is here arranged for string quartet. 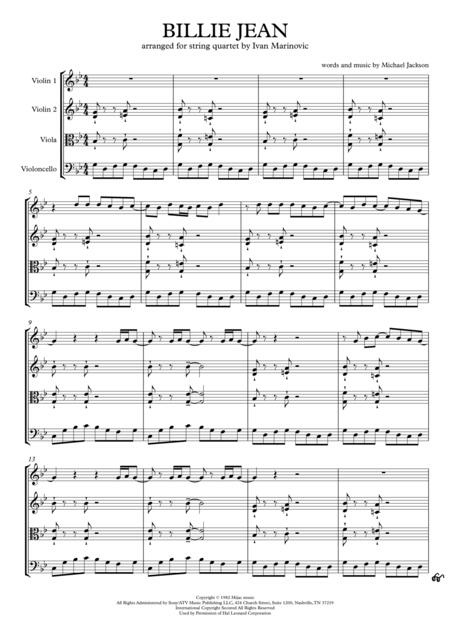 Also suitable for string orchestra.Download contains a score and a set of parts (Violin 3 optional).